Hi all! Well the time has come and the skins are out. They're located upstairs in the shop. Clothes will be coming very soon along with new makeups in the coming weeks. Also, be sure to subscribe to the tres blah update group at the front of the store and get this cute Halloween satchel. Only available to group members. how can i join the group and get this? oh its a subscribe o matic thingy you click at the very front of the store. near the door. it's on an easel. I just tried on your skins and they really are amazing... I just looove the face! Thanks for making some beautiful and UNIQUE skins for us! If it is yours, may I know what is it called. 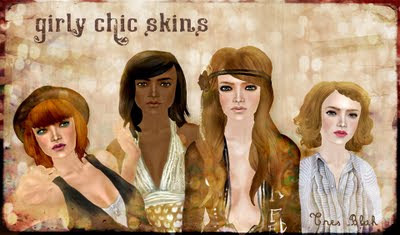 The skin looks my ethnic and I really wish to buy it. Kittens in your hair? Yes please!